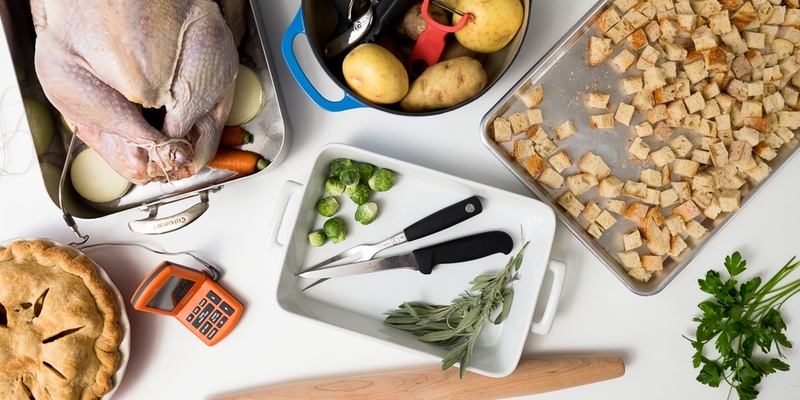 Preparing for a Thanksgiving feast can turn into a hectic experience quite fast, so it is important to prep with the right kitchen gear for the big Thanksgiving feast at hand! Instead of worrying about dinner, it’s a much better idea to spend that valuable time with your friends and family. Should you opt for the easiest way out, here are some of your favorite picks for kitchenware you can use to host your party like a pro and make the most out of your Thanksgiving dinner. To help you, we have listed some of the Best Thanksgiving Kitchen Tools and Tableware where you can choose from. 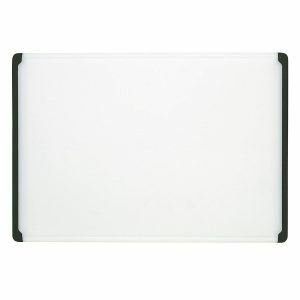 This Carving & Cutting Board offers a great balance of durability, cutting feel and ease of cleaning. So much so, that it was our first pick, based off reviews and various narrated user experiences. 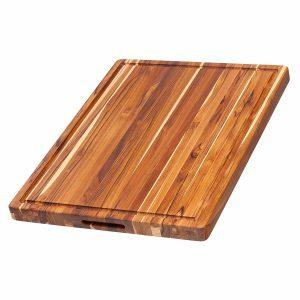 Butcher-block boards may be more aesthetic but this board is warp-resistant, stain-resistant and remains almost odorless even after repetitive use. The Proteak is very eco-friendly, but sacrifices ease of cleaning in the process, and you’ll have to be careful with it if you’re going to want it to last. Thanks to its comparatively heavier base material, it feels better under the knife than most other boards and will stay in place while you cut. At the same time, however, it isn’t so heavy that it’s heavy to move around. Kitchen towels are often the most overlooked items in the kitchen, despite their great importance. They serve to protect your hands from hot pot handles and pans, or can even act as a trivet in a pinch. When looking for an all-purpose kitchen towel, try and get one that’s generously sized, and has sponge-like absorbency. Williams-Sonoma Kitchen towels are our favorite pick because they feature all above requirements – they are generously sized measuring 20 by 30 inches, have a wide range of uses and have really great absorbency. 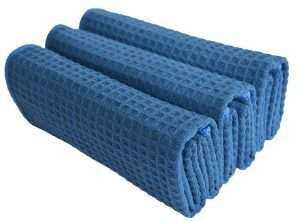 Even better, they offer twice the quality of most other products in one package: one side is waffle weave while the other is a low-pile terry perfect for kitchen use. 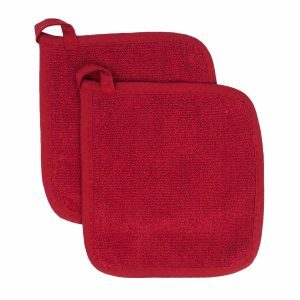 The Williams-Sonoma kitchen towels are great for multipurpose applications, but if you want something for just drying, these towels should be perfect for you. Sinland kitchen towels are super absorbent and lint-free, making them perfect for drying glassware. 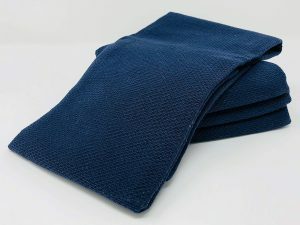 These quilted terry cotton cloth holders are quite inexpensive especially considering their material, which enables them to do an excellent job at protecting hands from heat as high as 400 °F when holding a skillet made from cast-iron for up to 11 seconds. Homwe oven mitts offer a perfect balance of heat protection and maneuverability, also allowing you to handle a cast-iron skillet as hot as 450 °F for roughly 11 seconds. The secret to this capability is a lining of quilted polyester and cotton on the inside of the mitten. This also results in dexterity not offered by any of its competitors. The Nordic Ware Baker’s Sheet is completely compatible with any kind of baking venture you could ever hope to delve into. It’s made out of heavy gauge aluminum that will not only withstand high temperatures without warping, it will also stand the test of time and continue to perform after years and years of use. 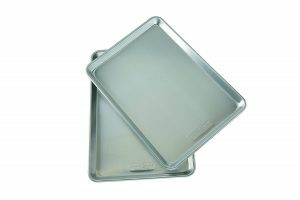 The HIC lasagna pan does look very classy, making it a perfect fit for more formal occasions, while retaining a stellar performance in the oven. It makes it easy to serve up to eight for sides, which should be more than enough for the average American family. The ThermoWorks Dot thermometer is incredibly responsive to temperature changes and has unparalleled accuracy when it comes to reading. Add on top its incredibly affordable pricing and ease of use and, voila! The perfect thermometer. Nobody likes being shackled to the oven, constantly checking the temperature of the meal so it doesn’t overcook. For that reason, a good quality thermometer is virtually indispensable, especially if you love to roast, smoke or grill large chunks of meat quite regularly. The latest model has a temperature range of –58 ºF to 572 ºF and a heat-resistant cable that can withstand up to 700 ºF worth of heat. 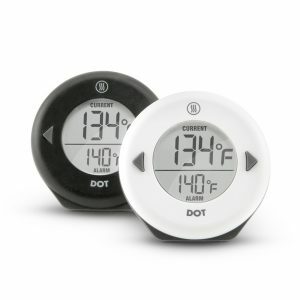 Its minimalist design and easy-to-use controls make it much easier to get used to as compared to other thermometers currently available in the market. Another thing you might find useful is the magnet attached at the back that helps keep it securely in place to the side of the oven or grill. 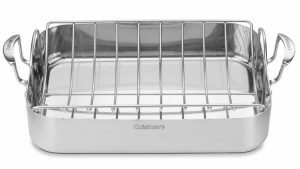 The Cuisinart MultiClad is one of that kitchen equipment that we’re sure you’re going to find useful throughout the year since it performs quite beautifully on the stovetop. 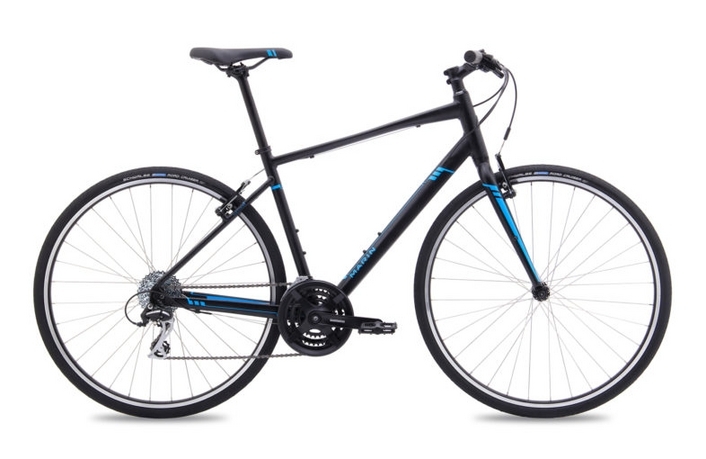 It is built quite sturdily, fitted with riveted handles and tri-ply construction. One of the most undeniable facts of life is that fried turkey tastes great, as long as necessary precautions are taken against getting yourself hurt. If you really know what you’re doing, it can be a pretty wild and exciting theatrical production. 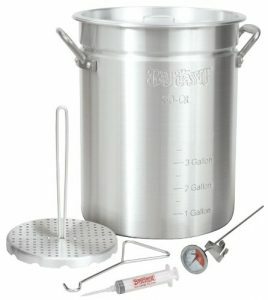 Our pick for the best tool to help you make that perfect crispy turkey is the Bayou Classic Aluminum Turkey Fryer Stockpot, together with the Bayou Classic Single Burner Patio Stove combine for an affordable, quick-heating kit you need for everything you need to do the job. 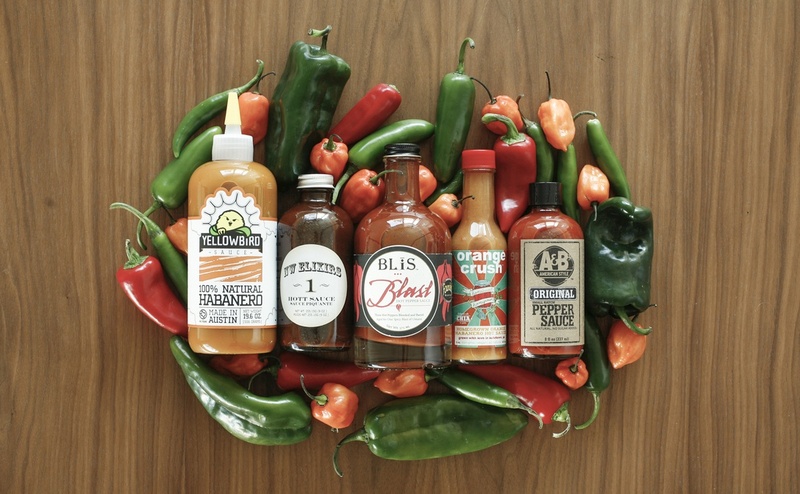 When it comes down to turkey frying, you can hardly do better than one of Bayou’s products. 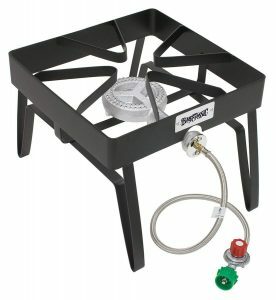 Preferably, you should go for something made from aluminum, as it heats up the fastest. 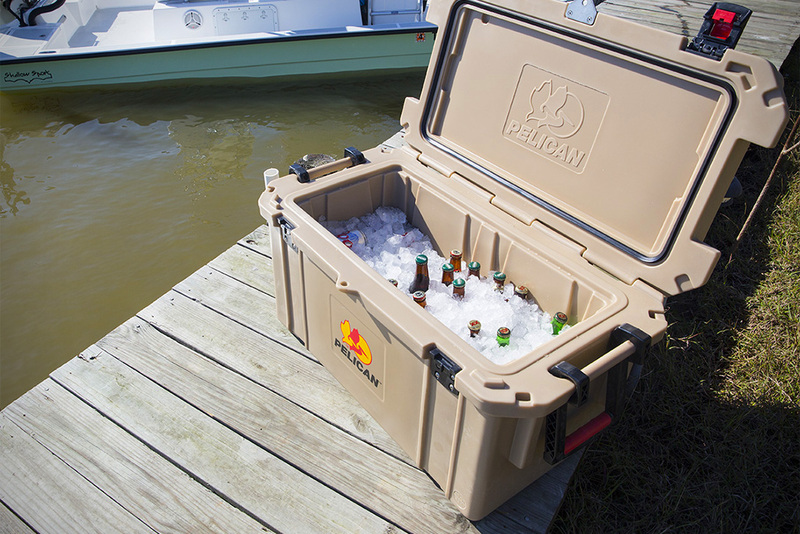 This product from Bayou’s line up also comes with a clip-on thermometer that’s measured against a very accurate Thermapen. 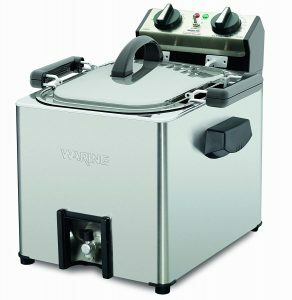 As far as electric fryers go, recommending one is somewhat difficult because it’s pretty hard to get even close to the same result as you would with a propane fryer. If you want well fried, crackling turkey skin, chances are you aren’t going to get it out of an electric fryer. The Waring makes it as a close recommendation, but far from perfect, since it produces slightly crispier skin than its electric competitors. If you want that perfect turkey for Thanksgiving, you won’t get it from an electric fryer, but the Waring Pro is the closest you’ll ever get. 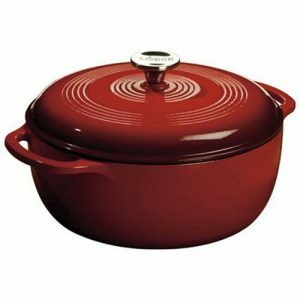 You might already be familiar with the Lodge brand for their strikingly affordable plain cast iron, and it may come as a surprise but this mode, though priced like a middle-end oven performs just the same as, and sometimes even better than its French-made counterparts priced at four times its retail price. 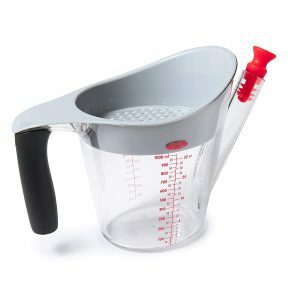 It also possesses large enough dimensions to make cooking tasks simple to do. Mashed potatoes are a great pick for a large crowd because they are easy to prepare and are satisfying at the same time. The OXO masher has great performance, since, with just a single downward twisting motion, you’ll have hit the bottom of the bowl and have your smooth, fluffy mash. If you’re a pro, using a food mill for making creamy, smooth potato puree should be simple enough, but on the off chance that you’re not, even the easiest-to-use food mills can make mashing potatoes a huge hassle. In which case, the Chef’n FreshForce Potato Ricer should be a perfect fit for lump-free yet fluffy mashed potatoes. The OXO Good Grips Fat Separator comes at the top of our recommendations primarily because of its ease-of-use, the complementary deep strainer and its great resistance to heat. Its components are also greatly fitting, such that the plug, for instance, doesn’t allow any drippings to enter the spout before the fat can find its way to the top. After setting down the drippings, it’s easy enough to unplug the spout and pour the liquid out with no risk of getting the fat incorporated. What makes it even better is the design of each individual component: the separator itself is in such a way that it has plenty of space to catch even large food particles, a convenient splash guard to prevent scalding from spills and splashes and a handle made from heat-resistant plastic, that you can comfortably hold at temperatures as high as 300 °F oil, an added bonus when you’re working with hot dripping meat. Where this model may disappoint you is when it comes to a few sacrifices they made for the sake of minimalism. Our biggest concern is that the plug isn’t attached to the spout, but since it doesn’t come into use so often, keeping track of it shouldn’t be too big a problem. If you’re planning on hosting a party, then nothing would complement the occasion much better than a great bottle of wine, or an occasional baking project. 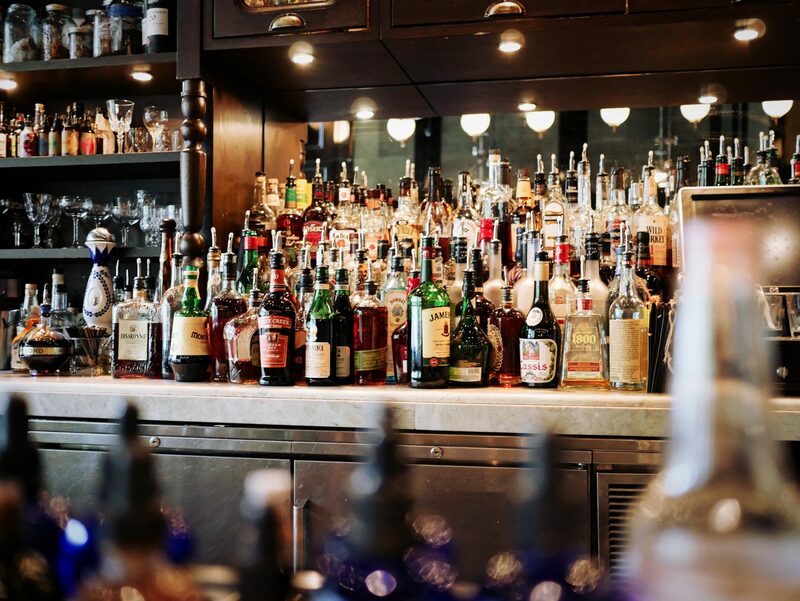 If you prefer the latter or are simply dealing with a non-alcoholic crowd, you are going to need a rolling pin, but not just any rolling pin – a good rolling pin. The first thing pretty much anyone thinks when a rolling pin is mentioned is a wooden contraption with two handles, but according to research by various outlets (including some of our own), a rolling pin with no handle has greater performance than that which does. Depending on your current situation, our recommendation for a best rolling pin to use may change. For instance, if you’re working together with children, the JK Adams may be a better fit, since it allows you to fit it with spacers. Spacers allow novice bakers to roll the dough to a precise thickness, such that all sides will be of equal thickness. 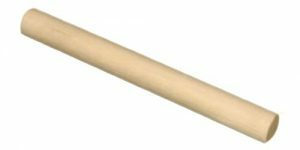 However, this dowel-shaped pin isn’t as agile as the Whetstone for making perfect round shapes and will need to be dusted with flour more often, but if you’re going to be rolling oblong or rectangular shapes, then it’s perfect for you. If you love baking pies, the Baker’s Advantage is just the tool you’re going to need. Pitted against competition within a similar price range, it triumphs and by far, not only in terms of performance but also when it comes down to aesthetics. 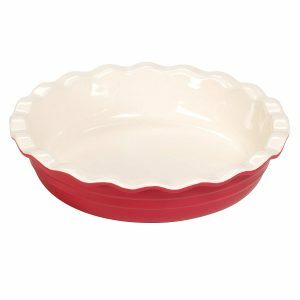 It’s an attractive plate that comes in multiple colors and has a ruffled rim that will allow even an amateur to bake a perfectly fluted crust. Perhaps best of all is the great price – half as cheap as the first runner-up, and it even comes with a lifetime warranty. If you’re one to flair the crowd, it the Emile Henry should be your primary pick, even over the Baker’s Advantage. 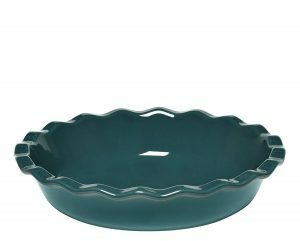 It retains similar quality but raises the presentational pizzaz bar since it comes in many more gorgeous colors than its competitor. It does cost a little more, so if you’re trying to be careful how you spend your money, save the cash and get the Baker’s Advantage. 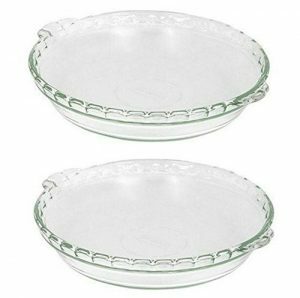 Our first two picks should be able to cater to the greater percent of the population, but if you want something shallower and less expensive, our recommendation is the Pyrex Bakeware 9-Inch Pie Plate. The Pyrex Bakeware is pretty popular among professionals all around the world, but it didn’t cut it as the first item in our recommendations because of some safety concerns regarding glassware in ovens. 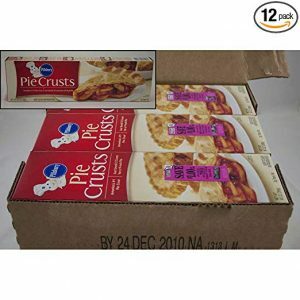 The pre-made crust isn’t a necessity for most bakers, and the only value it truly offers is the convenience, essentially offering the ability to go from the package straight to the dish without cracking or tearing. That’s where the Pillsbury crust truly excels. It has an excellent flaky texture, well-balanced out the flavor and easy to lay out in the pan. 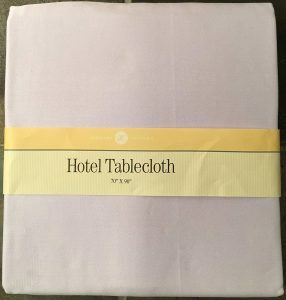 The Williams-Sonoma Hotel Dinner Tablecloth has pretty much the same advantages as our previous pick. They’re also made of 100% cotton and feel sturdy to the touch, they come in 11 different sizes and unless should work for nearly every table size. If you don’t entertain large groups of people so often, these utensils may come off as a bit heavier than what you’re used to, but they are still an excellent choice for the holidays when you have a sudden increase in the number of people who come visiting. 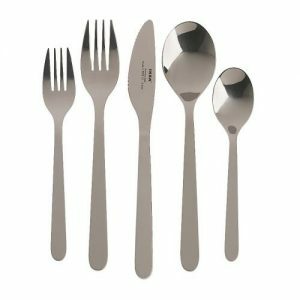 If you’re like most people though, you probably don’t want to spend good money just buying a special set of flatware for use during the holidays and never again, but if you do happen to need an extra set for any reason, the IKEA Förnuft will be a great pick. The simple design of the WMF Manaos is the most noticeable feature when it comes to this entrant. It measures 10 inches and has a beautiful polished finish and comes with a 2.5 by 3-inch bowl that’s large enough to scoop up a variety of dishes like Brussel sprouts and mashed potatoes. If you’re not one who’s attracted to looks and prefer functionality over design, the Gray Kunz Sauce Spoon is just for you. 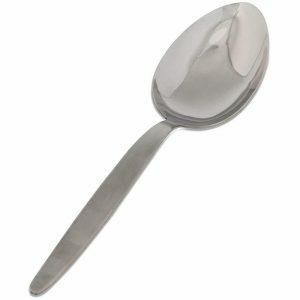 This spoon is a standard pick for chefs all over the world. It has a big name to it but doesn’t shine over our first pick. 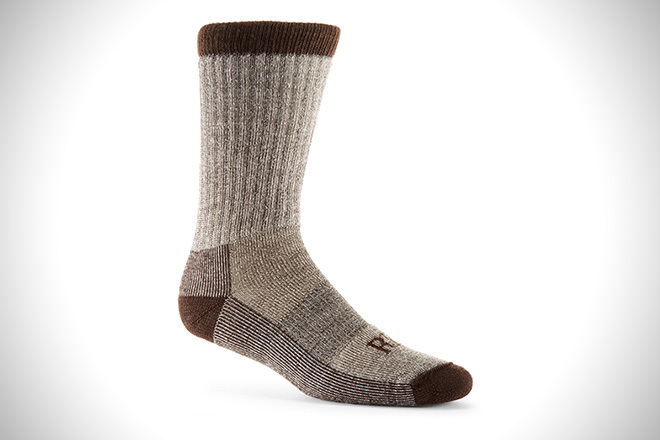 However, it does give you value for your money in terms of functionality and relative comfort during handling. If you’re one for functionality over beauty, the Winco-7 is a set of tongs which are simply the best option for truly multi-purpose functionality for your kitchen countertop and dining table. The tips are round to enable them to grip most foods you’re going to be able to prepare. They are versatile enough to use for various kitchen tasks and durable enough to last you a couple of years before needing replacement. The Victorinox Fibrox is an all-purpose knife that does a great job whether you’re slicing holiday roast in the kitchen or on the table, in full view of everyone. 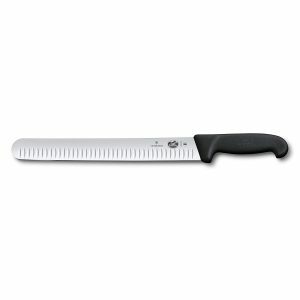 Its sharp enough to cut up to paper-thin slices of beef, turkey, fowl or beef. This is in addition to a comfortable grip that will fit into even large hands. It has a dimpled edge to keep your food from sticking onto the blade, ensuring both smooth slicing and making it easier to clean. A great boning knife is important because it can get around the joints, so carving the meat stays clean and neat. To break down your Thanksgiving turkey like a true professional, you’re definitely going to need one. 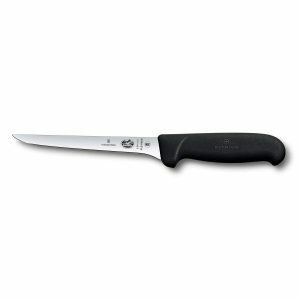 The Victorinox Boning Knife is one of Amazon’s top-selling picks and provides the much-needed finesse to help you carve out the hidden flesh at the joints. Of course, you can always do it with a regular knife, but it won’t offer you the flexibility that a boning knife can manage. Though subject to debate, curved tines are much easier to work with than straight tines, which is where the Mercer Culinary truly excels. It’s a matter of personal preference, but curved tines provide a better sight line and will keep your fork-holding arm and a more natural, comfortable angle. Having a pitcher of water on the table shouldn’t be expensive, unless, of course, you have lots of money burning unbecoming holes in your pockets. For that reason, the cost was the primary factor we think through while picking out a pitcher that we felt would be a great fit for the average American household, without having to compromise on quality. 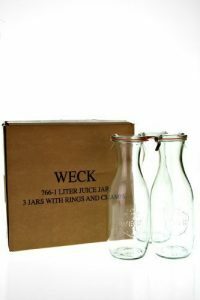 The Weck Juice Jar is cheap, sturdy, and comfortable to handle. On top of this, it has a small footprint, and its overall design features a classic shape that blends in well with most dining tables. The lid that comes with it is somewhat loose-fitting, making it a bit impractical for daily use, but you can easily buy a plastic snap-on lid if you require it to be airtight. 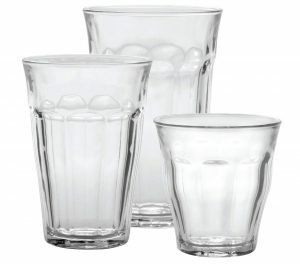 Our pick for favorite drinking glass was the Picardie tumbler from the French manufacturer Duralex. The company is quite famous for their products and are easy to spot in places like French restaurants and Middle Eastern tea shops, producing everything from espresso shots to red wine. The Duralex Picardie is quite durable and can hold either hot or cold water without shattering due to stress, so it should be able to hold your hot apple cider or cold ice water just fine. What’s more, they’re quite difficult to break and can survive as much as an 8-foot fall onto a linoleum floor. Hosting a party presents new chances for unexpected events, like increasing the probability of a glass breaking. 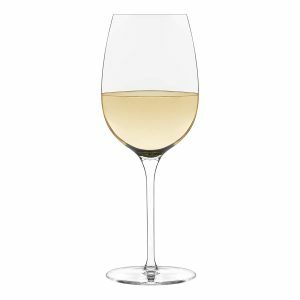 Libbey Signature wine glasses, like every wine glass, isn’t very durable, but it makes up for this in affordability, so it won’t be too big a bother if one breaks. It’s also ideal for use during parties or if you simply need a few extra glasses during a holiday dinner. Both reasons, in addition to its classy look and perfect balance, make it one of the highest rated tulip-shaped glasses among experts. It’s great design also makes it showcase the aromas of wine very nicely. Our simple piece of advice, based on preference and experience rather than necessity, when it comes to cutting pie is that a sharp, non-serrated blade warmed and rinsed before every cut is how you’re likely to get the cleanest cuts. After you’ve made your way through the crunchy crust and made it through the pie, use a handy tool like the Cuisinart Elements with just the right weight balancing to help you serve that freshly baked pie that everyone is after. 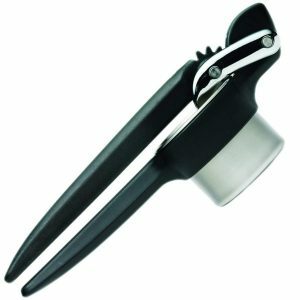 However, you may be one of the people who have a personal preference of using a serrated pier server over sharp edges, and if so, the OXO SteeL Pie Server is what you’re after. 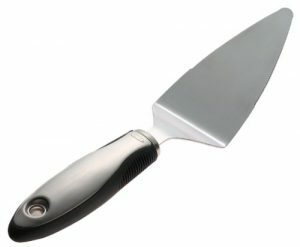 This serves as a multi-purpose tool, where its sharp edges allow you to both cut and plate when you’re finished. It’s an affordable, comfortable, and made well-balanced utensil that will be able to last a few years of use. Good, hot coffee is essential for survival. Our first pick is the OXO On since it produces great quality coffee that is neither too bitter nor too dilute. If that’s currently unavailable, the Bonavita BV1900TS, produces coffee that’s just as good, and some would argue, better, but the user interface isn’t so friendly. Coffee is arguably the most popular beverage in the world. More so however, there is a separation in between people who like their coffee hot and people who prefer iced coffee. Regardless of the choice, most of the time coffee starts off as hot. Stepping into the limelight is this 51-ounce thermos. 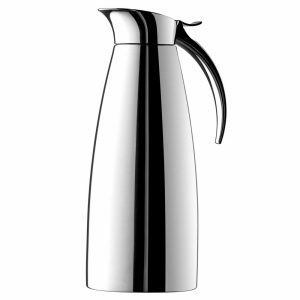 The Thermos Vacuum Insulated Stainless Steel Carafe is our top choice for a couple of reasons, the first of which is its incredible popularity for use among Amazon customers. The 4.5-star rating shouldn’t come as a surprise since it can keep any beverage (though it’s primarily ideal for coffee) at a constant temperature of 200 °F for longer than two hours, where it then starts registering a slight drop in temperature, that continues to do so over time. 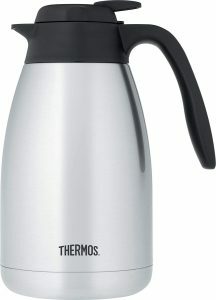 Aside from performance, this thermos also features a unique metal vessel design and a plastic spout that opens up at the press of a button and can pour coffee steadily without dribbling on the sides of the carafe. Removing the top is also easy to take off and put back on. The Thermos isn’t the most elegant carafe you’ll find in the market, and the Emsa Eleganza seems to have been manufactured solely to take care of that gaping gap. 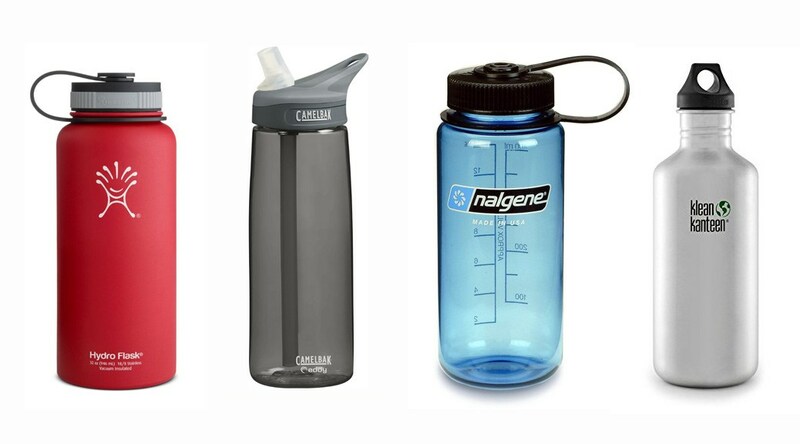 It comes a close second with a slightly lower volume (at 44 ounces against the Thermos’ 55 ounces) and a great top-to-bottom design that makes it one of the most beautiful carafes available. 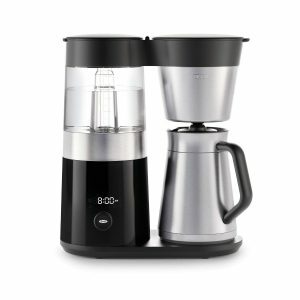 It features a striking resemblance to the Thermos in terms of performance, being able to keep your coffee above the 200-degree threshold for hours on end. However, the one area the Eleganza fails is when it comes to pouring. This model is connected using a free-hanging hinge, which, despite making it a bit lovelier than most of its competitors, gives up a bit of practicality. If you tilt the carafe too forward, the top will swing open and you’ll end up pouring more coffee than you originally intended. Here, the Thermos has it beaten, since pouring is more finely controlled. The Eleganza’s top design isn’t spilled proof, either, so if it gets knocked over, the mess will be huge. 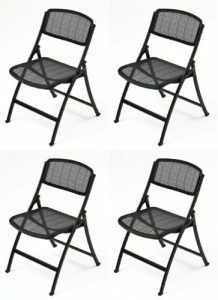 If you think you’re going to need extra seats for a party, the Mity-Lite Flex One folding chair is definitely an excellent choice. It’s a durable, heavy duty chair whose frame is composed primarily of steel and flexible polypropylene that enables it to mold appropriately, depending on the sitter’s body shape and weight. Regardless of whoever is sitting on it, the chair guarantees comfort and relaxation. It’s also pretty durable, supposedly being able to hold up as much as 1000 lbs, that’s half a ton! 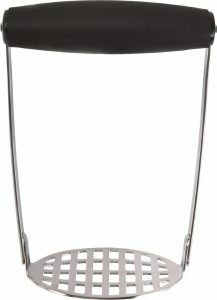 If you’re anxious about sitting-space, there shouldn’t be anything to worry about because the MityLite Flex is about two inches wider than the standard folding chair. This makes it just slim enough to fold up and stuff into a space as small as a closet, while maintaining ergonomic practicality, so your guests will remain comfortable no matter how long they have to remain seated. In this day and age, we live in a world where practicality and ease of use is a necessity. As someone who loves listening to music, one can argue about how much easier it is to turn up without having to bend over and plug something in. 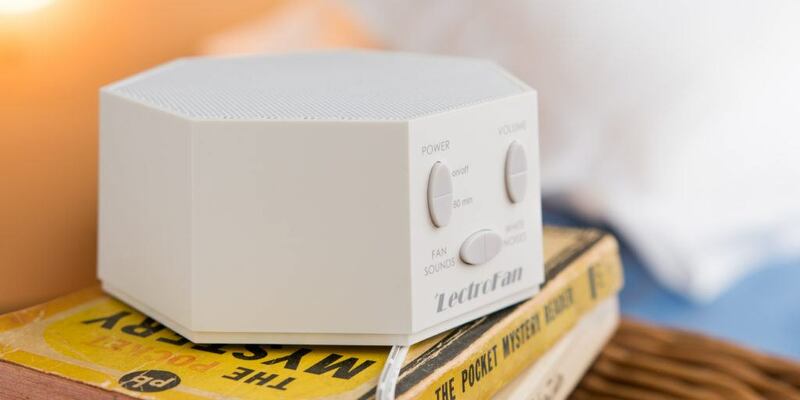 A relatively small and portable speaker will allow you to host a dance party in any room within the vicinity of the central music station. Our pick for best Bluetooth speaker is the Peachtree Audio Deepblue2, a convenient speaker model that’s capable of filling up to large rooms with generous sound. 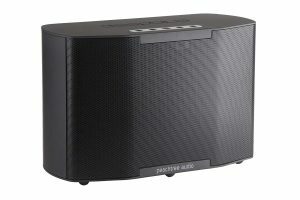 It provides beautiful audio that’s hard to match at the price it goes for, so much, in fact, you might find yourself confusing it for a home stereo system. This is all without having to deal with the overhead cost of dealing with traditional hardware (a multi-room system) and costs almost half as much as high-end systems such as the Bowers & Wilkins Zeppelin Wireless. Candles are always a great pick for adding a great atmosphere to any gathering, whether with friends or the entire extended family. 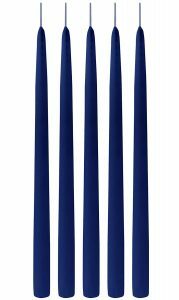 There are four main styles of candles from which you can pick: tapers, which are tall and skinny. They usually stand on candlesticks; pillar candles, which are usually short and wide; votives which are usually about 2 inches tall and an inch wide. These are usually placed in votive holders; and tea lights, the smallest type of candles held in metal cups. They are the traditional way of serving warm teapots and providing accent lighting. When selecting candles, there are four main things you should be on the lookout for: the candle shouldn’t drip, produce little or, preferably, no smoke, no scent and should have a long burn time. These were the primary factors that we had considered while selecting the candles below. 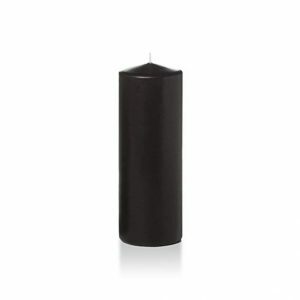 Our top pick for best taper candle is the Candle Charisma. Which is usually available in a set of 12 pieces. We liked it especially because it doesn’t drip and comes in multiple colors. Furthermore, each candle can last for up to ten hours. It also doesn’t smoke and their length, 12 inches (30 cm) provides quite a dramatic feel to the table. 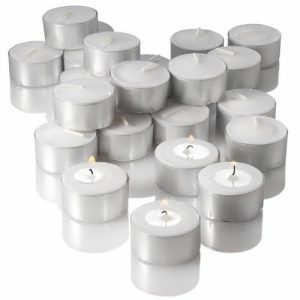 For pillar candles, the Yummi Round Pillar Candles are our top pick, with hardly any of its competitors coming close. They are accessible in sets of three. Plus come in nearly any color you can imagine. According to the manufacturer, they should last for about 60 hours before getting completely weary and melt. What wins it for us, though, is the fact that they hardly produce any smoke when blown out. While scented candles serve their own purpose through therapy and relaxation, these unscented votive candles play a different part; they make any normal dinner a special one! The candles make the cut because of their phenomenal reported burn time of 12 hours on average, giving off no scent and no smoke. 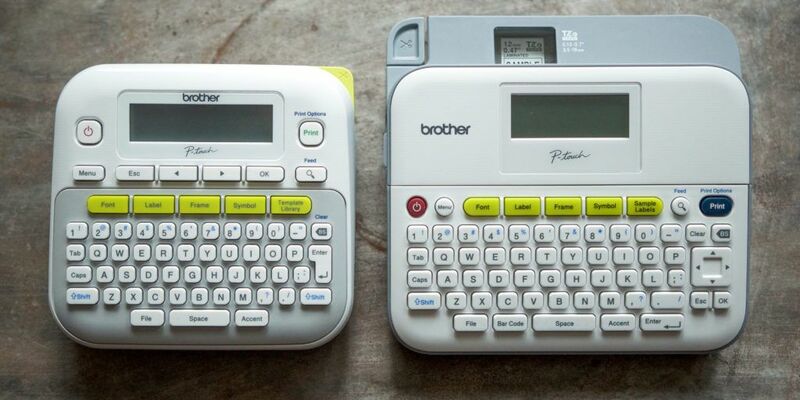 Additionally, they dry the quickest and are quite popular among Amazon customers. Once again, with an impressive burn time of 7 hours, these candles (sold in a pack of 100) are the best tea candles we could currently find. 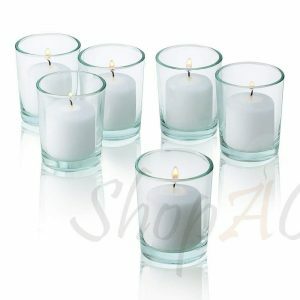 Richland Tealight Candles give off the least amount of smoke than other products with similar price and no scent the whole 7 hours they are meant to burn. This is in contrast to IKEA’s Glimma candles that give off a lot more smoke and have an even shorter burn time. Sonos’ systems come out on top not only because of their affordability, but they are pretty easy to use and set up in the home. 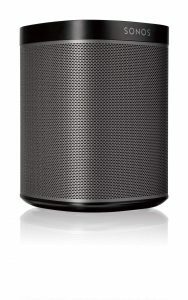 The said speakers offer flawless sound quality, for the price. 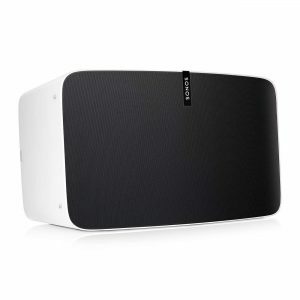 The Play:1 sounds pretty great on its own and if you’re on a tight budget, it should be a great introduction for you into the Sonos family. The Play:5 on the other hand, is slightly more powerful, translated in a ramping up of the price from the Play:1 model. It uses six different drivers and amps and is perfect for large spaces to produce comprehensive sound. Just because we are in the digital age doesn’t mean your cameras have to be worth thousands, no. You will be surprised to find out that the best cameras out there fit the budget. Having said that, nothing draws attention quite like the retro charm of an instant camera. 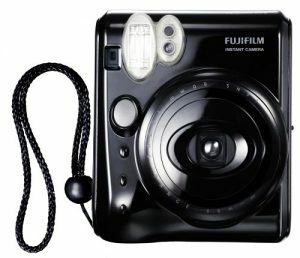 Our pick for a favorite instant camera is the Fujifilm Instax Mini 50S. It’s a really fantastic camera, whose film is easily available in the market and the pocket-sized photos it produces are perfect for excellent moments – with beautiful shades of contrast, beautifully saturated colors and soft detail that’s almost too pleasing to the eye.